Let’s face it, in a perfect world, our feet would be able to fit into every shoe available for sale. But then reality hits and we are faced with trying to find the needle in the haystack. Trying to find that perfect wide shoe. Wide shoes for men aren’t easy to come by unless you start searching for them. Chances are, you typed Wide Shoes for Men into Google and came across this article. Well, you’ve come to the right place to shop wide shoes for men and find what brands typically offer the best wide shoes for men. Which type of wide shoe are you shopping for? Before I proceed, ask yourself, do I need shoes for work? Do I need shoes for running? Do I need just everyday casual walking shoes? These are the questions that our fit specialists at our Lucky Feet Locations will ask you when you come in for a free foot analysis. Now that we’ve determined your needs, do you know what width you are needing? Do you need a wide? Extra Wide? Extra, Extra Wide? If you have to guess, then you may be going throughout the day with tired and hurt feet. Understanding and knowing what your foot width is will help you stay comfortable all day long. This too is part of Lucky Feet Shoes free foot analysis. Below are some shoe brands that offer wide shoes. If you are looking for more of a running shoe, both New Balance and Brooks offer wide widths. New Balance Men go up to a 6E which is an extra, extra wide and Brooks shoes for Men go up to a 4E which is extra wide. 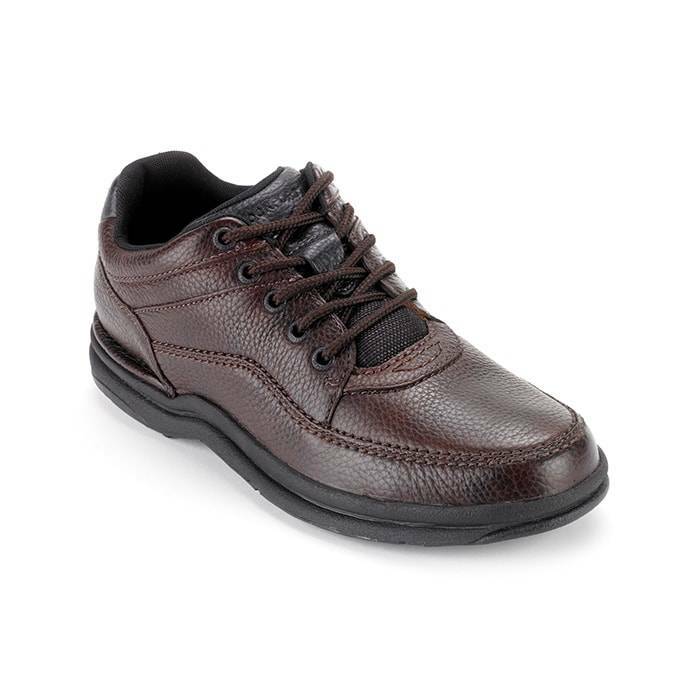 On the more casual side or to pull off a business casual look, you may want to consider Rockport for men’s shoes. Their shoes are available up to a 4E. Dunham is another great brand with widths available up to 6E. 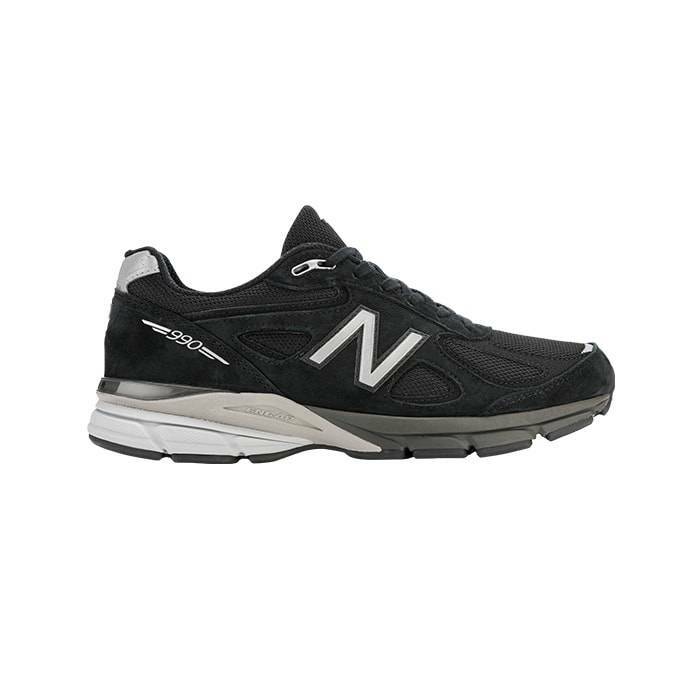 A great New Balance wide shoe is New Balance 990. This is a full motion control shoe which means that it has built-in pronation and supination support as well as lateral arch support. This shoe keeps your foot from caving inwards which is the pronation and it keeps your foot from having an outward rolling motion which is the supination control. In addition, this shoe is built with a lateral arch support which helps keep the center of your foot from bending. All of these features built into a shoe will put less stress and fatigue on your feet to help you walk all day. The Brooks Men’s Beast is built to last and withstand just about anything. 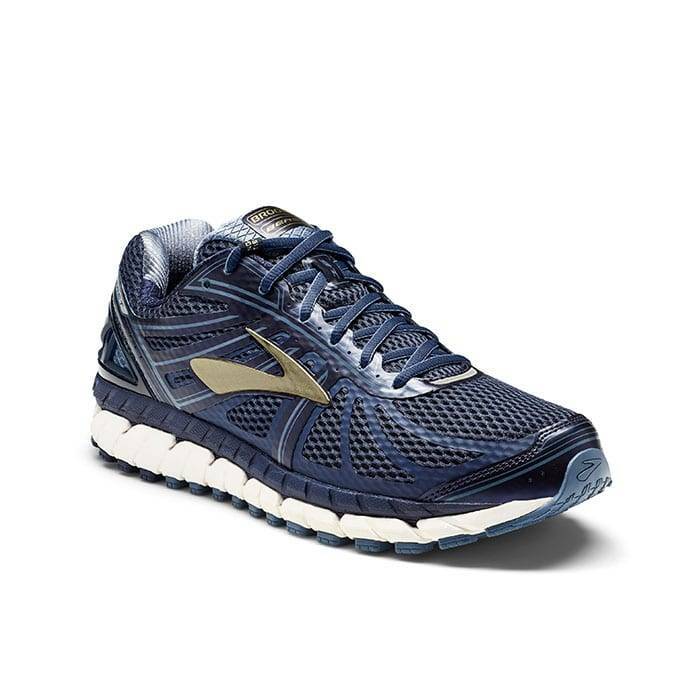 This running shoe is one of Brooks’ most supportive shoe, ensuring maximum stability with a tremendously soft, cushioned feel underfoot. It is considered a support shoe meaning that you will get lateral support for your arch and because it’s designed as a running shoe, it has mesh for better breathability and lightweight comfort so you can go the distance without feeling weighed down. Finally, you can shop this dress shoe in a D, 2E and 4E width. The World Tour is built using Rockport’s Walking Platform Construction which helps provide a wide base of support for your heel and adds forefoot. In addition, it’s padded tongue and collar helps protect you from excessive rubbing and helps prevent blisters. Its full-grain leather conforms to your foot over time for a custom, comfortable fit and is easy to maintain. You can shop the Rockport World Tour in both medium and wide width. This Dunahm REVDusk is a timeless classic oxford that is totally worth every penny. This oxford displays confident craftsmanship of contrasting leathers and stitch detailing that stands it with every look. This shoes is great for its waterproof seam sealed leather uppers with contrast stitching and breathable textile lining allows air to pass through keeping your feet cooler and drier. In addition, the durable EVA outsole is lightweight and shock absorbing which leads to a smoother ride. Not to mention, its memory foam footbed adds support and helps absorb shock. Finally, you can shop this dress shoe in a D, 2E and 4E width. The Aetrex Men’s Lexington is a versatile shoe that is a great work or a night out shoe. 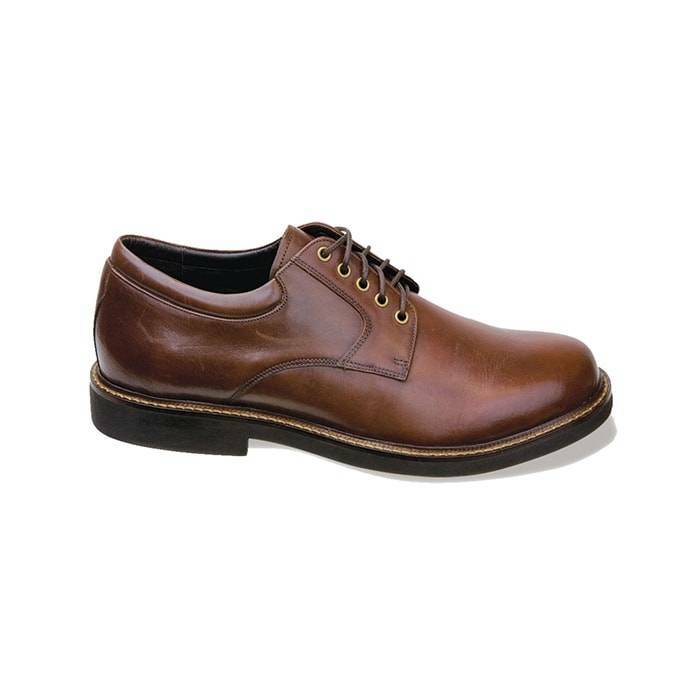 This classic oxford style features a full grain leather upper, soft leather linings for comfort and breathability. Its polyurethane outsole will give you great cushioning, stability and support to help keep you on your feet pain-free. In addition, this style has 1/4´´ removable depth to help accommodate your custom orthotics or over-the-counter orthotics. 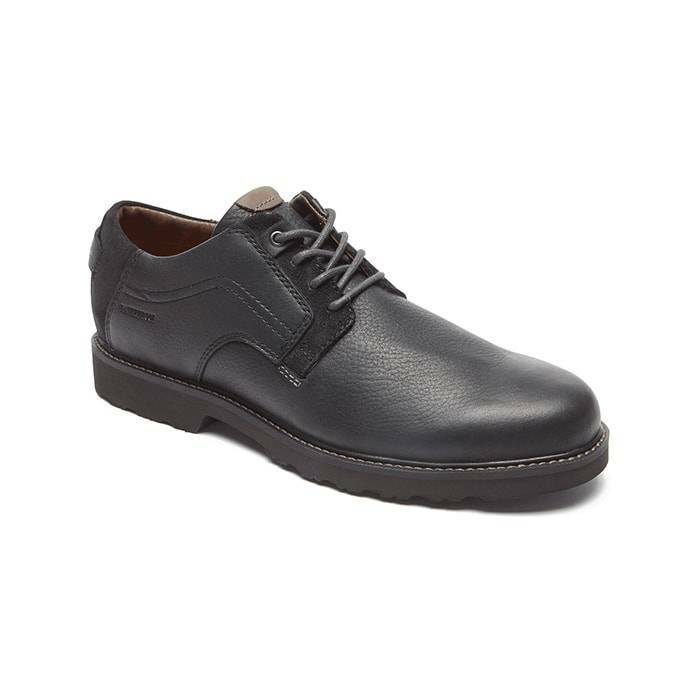 Not to mention, this Aetrex shoes is recommended for men who have bunions, arthritis, diabetic feet, or who require additional support from arch supports. Shop this men’s wide shoes in medium, wide and extra wide. Where to Shop Wide Shoes for Men? Whether you prefer to shop online or instore, at Lucky Feet Shoes we have a large selection of wide shoes for men. But, if you prefer personalized shoe fittings, great customer service, we have nine comfort shoe stores located in Southern California. Which are located in Costa Mesa, Anaheim Hills, Rancho Cucamonga, Riverside, San Dimas, Long Beach, Temecula, La Quinta, and Palm Desert. Therefore, we invite you to stop by for a free foot analysis and try on our large selection of wide shoes for men. In addition, we have a large selection of comfort shoes, wide shoes, arch support, and custom orthotics! We carry a wide selection of comfortable footwear ranging from sandals, walking shoes, running shoes, casual sneakers, clogs, loafers, slippers, and boots. Therefore, we encourage you to shop in-store for our personalized customer service and free foot analysis! Schedule a free foot analysis today!